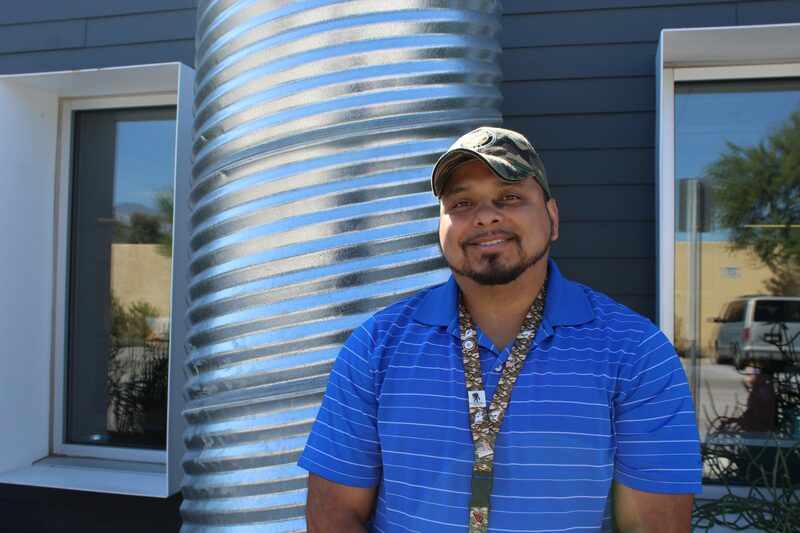 No stranger to construction, veteran Victor Gonzalez is a force to be reckoned with on the Habitat Tucson build site. He wields a hammer with grace and precision that only comes from years of experience. That’s because he worked in a construction battalion during his years in the Navy. Victor joined the Navy on his eighteenth birthday. Young and excited, he got right to work. When he was offered the choice between an office job or a physical job, he decided that he wanted to work with his hands. He was assigned to a construction battalion. He quickly promoted through the ranks. “I just worked hard, and people noticed,” he said of his eight-year stint in the military. Victor was stationed in California when his unit was sent to Bahrain. An attachment was sent to Camp David, and Victor wanted to go. He received security clearance and was sent twice for 9-month deployments. It was there that Victor’s life changed forever. “I was leading an exercise for a unit, but I started getting pain in my hamstring,” he said. “Young and dumb, I thought it was just muscle fatigue.” Victor would later find out that he had four degenerated discs requiring four intensive surgeries to repair. The last surgery left his nerve endings burned. Struggling with physical ailments, and ultimately depression, Victor decided it was time to return home to Tucson, Ariz. But now, Victor is again ready to pursue independence of his own. Victor attended financial planning courses, completed 250 sweat equity hours building his home and the homes of his neighbors, and has saved for a down payment. Victor feels like he was brought to Habitat Tucson for a reason – that this new journey has been orchestrated for a higher purpose. He sees himself owning a home, becoming a provider for a family, and giving back to the community. “I didn’t come for a home, but I feel like this is a God-given gift that is filling an empty spot in my life,” Victor said. This gift, or hand-up as Habitat Tucson likes to say, will allow him to give back in the future, he says. 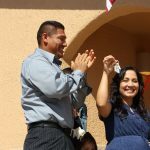 Victor’s home is one of four Habitat Tucson homes built from the ground up in just eight days during Blitz Build – a high-energy build of homes. Volunteers and donors from around the country helped make Blitz Build a success, and Victor’s dream of homeownership a reality. You are invited to join Victor as he celebrates the completion of Habitat Tucson’s homeownership program. 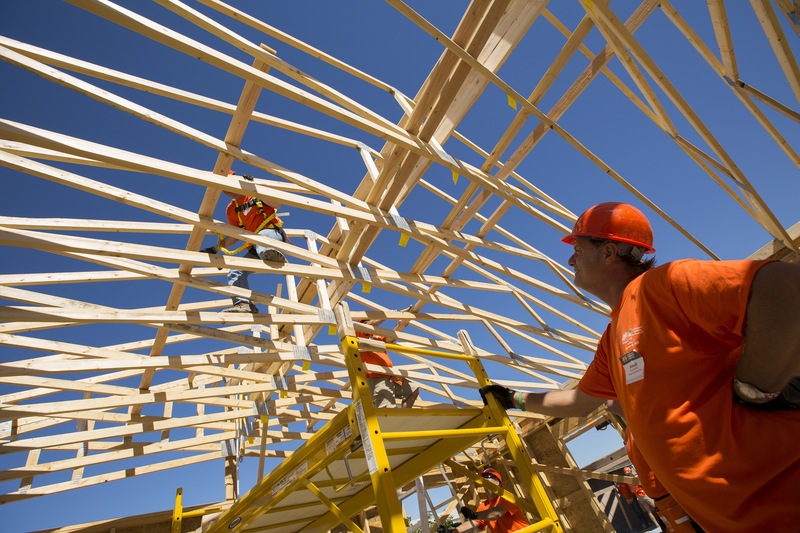 Saturday, May 20 at 7 a.m.
Habitat Tucson is committed to serving our veteran neighbors through new home construction and home repair efforts in our community. Help our heroes know the true meaning of home. Find out more about Veterans Build today.